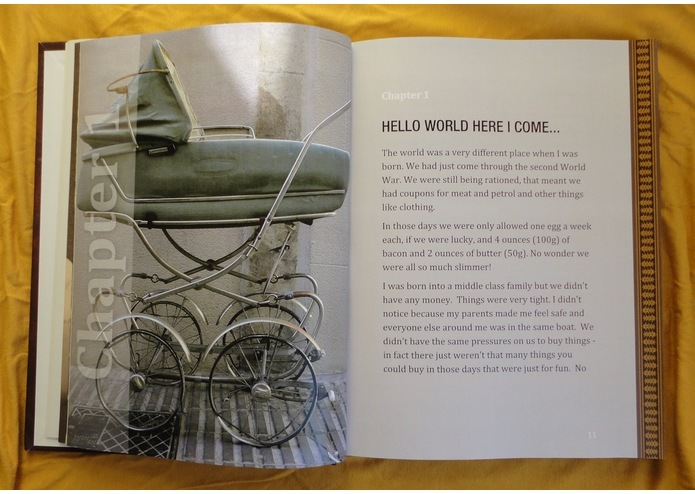 A unique online system that makes it easy for anyone to create a beautiful book of their life story for their family. Vintage family photos can be included. 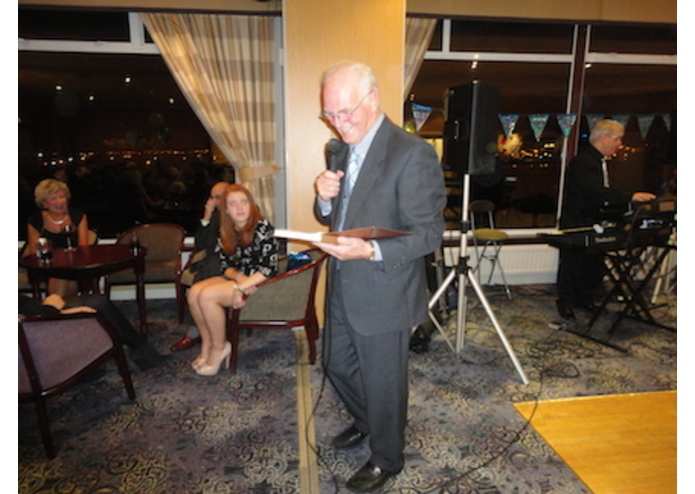 John Strachan talks about his autodotbiography at his 80th birthday. John Strachan's note to his family on the title page of his autodotbiography. 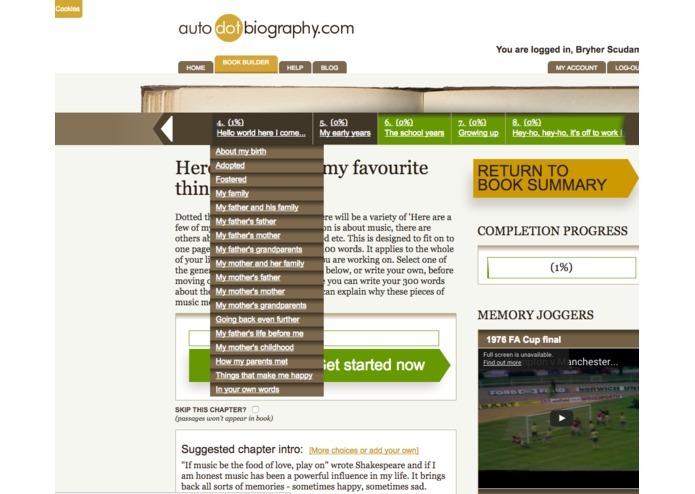 Sections to take the user through their family. Simple questions to build the life story. 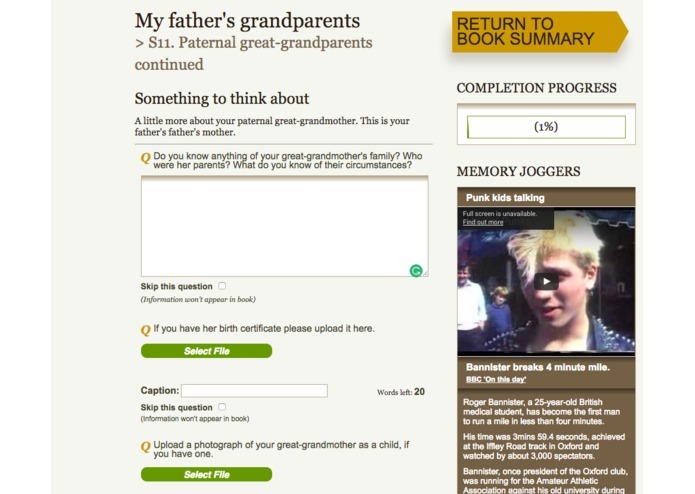 A section on the user's father's grandparents. Opportunities to illustrate the text in each chapter. 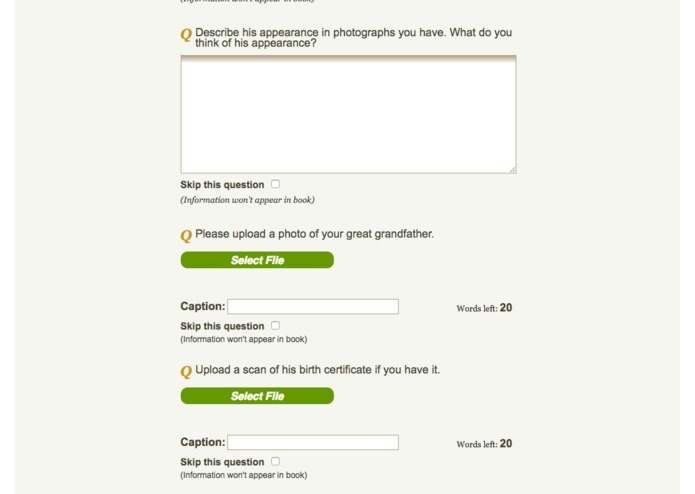 Inspiration - Your family history starts with you. 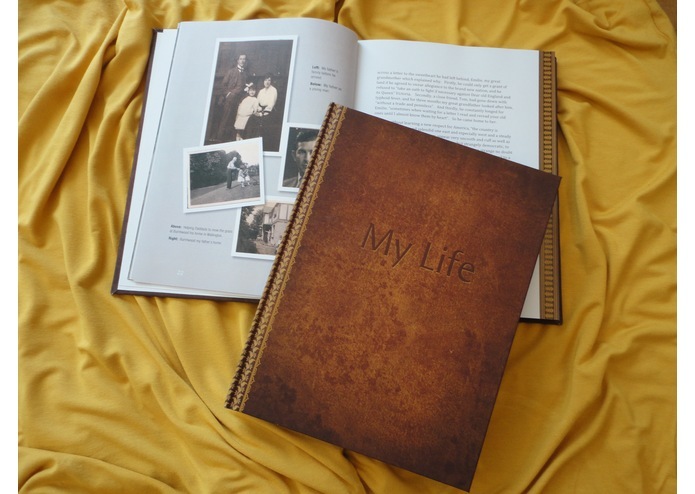 My dream is that generations of families will write their life stories and that their books will become treasured family heirlooms. It was inspired by two events. The first was the unexpected death of my mother which left me devastated with many unanswered questions about her, our family history, and my early life. The second was the discovery of 14 letters written by my great-grandfather, Walter Mitchell. As a 23 year old carpenter in 1867, he sailed from England to America to seek his fortune. Until I found those letters I knew nothing of his existence. Through them I learned that he was brave, loyal and hardworking. He greatly admired America and the people he met, including native Americans. His letters gave me an extraordinary insight into his character, far more than I could have dreamed of from normal genealogy sources. These two events sparked the realisation that writing your life story to pass on to future generations is the most precious gift you can give them. But I also realised that this is very difficult for people to start, let alone finish! Could I make it incredibly easy and affordable for anyone to do? 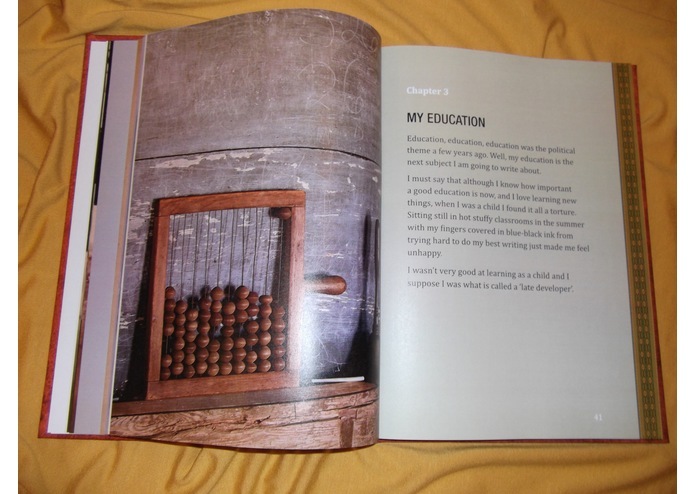 And have a beautiful book, worthy of being an heirloom, at the end? A hardback book that will last for hundreds of years, unlike the documents and images that are lost in the digital world because formats change and software ceases to work? 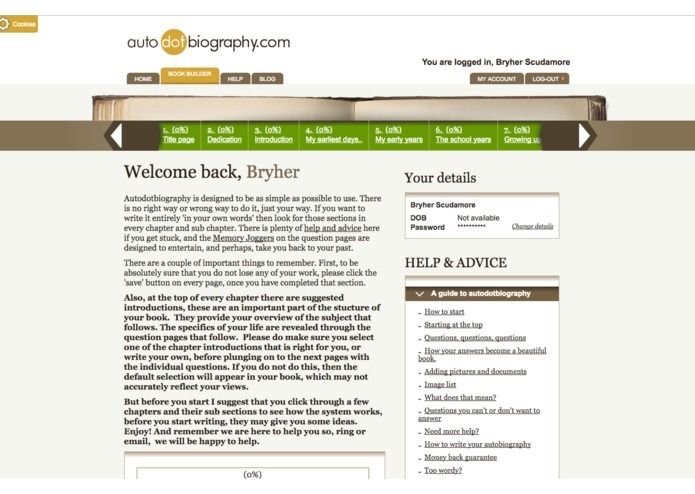 Using all the skills I developed working as a the Editor of one of the BBC's most popular programmes and as Editor-in-Chief of BBC Online (the beginning of the BBC website) I devised 'autodotbiography'. It was conceived out of sadness but with the aim of bringing joy to generations of families all over the world. 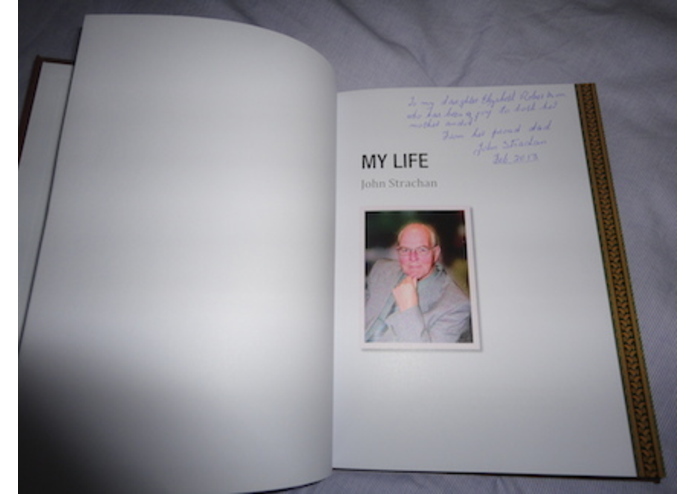 So, at age of 60, when many people are looking towards retirement, I set about creating the autodotbiography system: a virtual ghost writer and a virtual book designer. The system has been 'translated' for the market in the USA, not only linguistically but culturally. 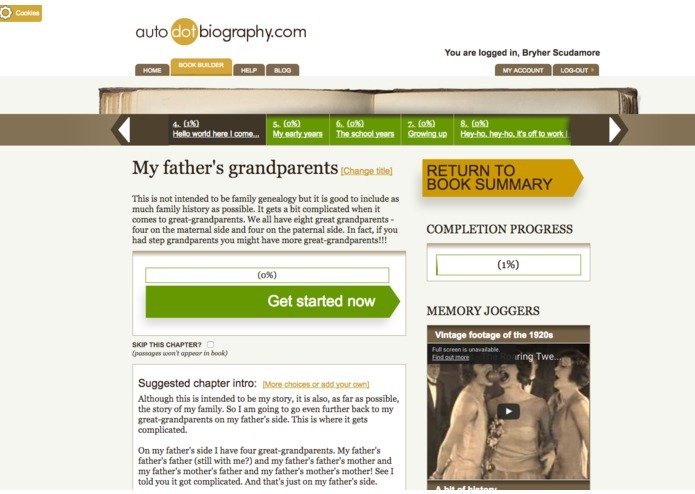 One of the greatest rewards in creating autodotbiography has been the emails and letters from delighted members of the families of people who have used the system to write their life story. 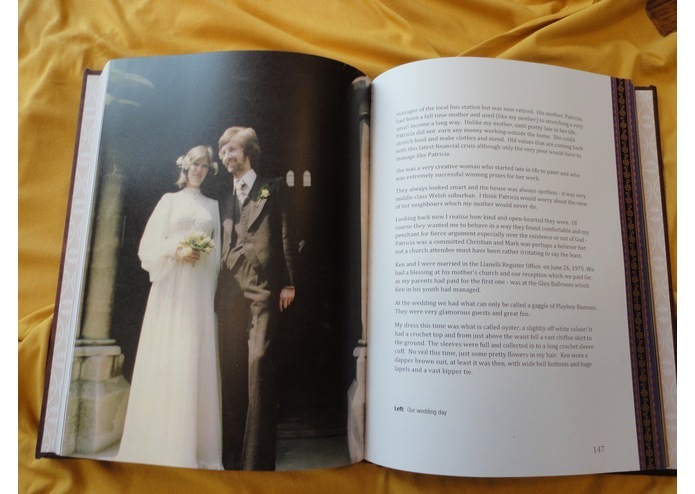 Liz Robertson describes how she and her brothers feel about their father's book in the link below. 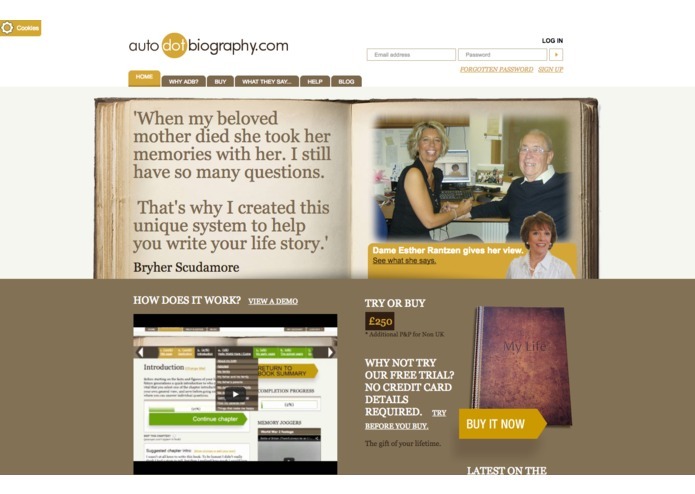 The online 'autodotbiography' system makes it incredibly easy for everyone to create a beautifully written and lavishly illustrated hardback book of their life story. 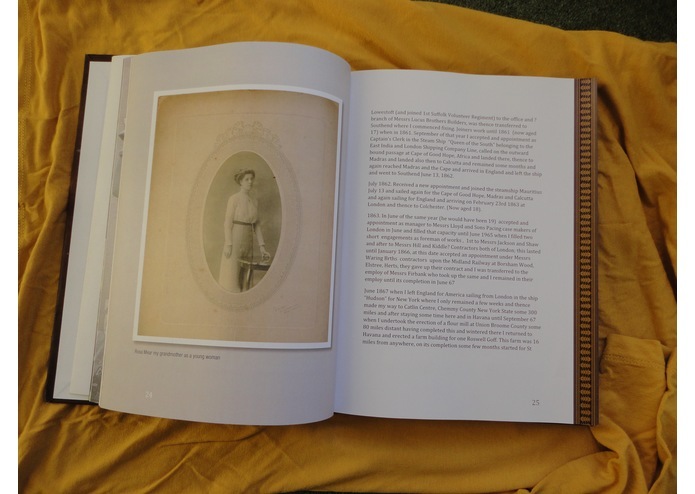 It combines the ease of working online, with age-related prompts, pre-written suggestions, memory joggers and historical perspectives, with a printing system that produces a rich and detailed book containing personal photographs and documents that have been uploaded by the author. Like all best simple-for-the-user systems it is highly complex behind the scenes. I worked with a brilliant web developer, Jason McClean, who created the required scaleable technology. The database combines the front-end Book Builder with the back-end business functions and outputting the results in a format for the printing company to use. Jason did the technical build and continues his involvement as a consultant. I did the creative side, working with Steven Bennett Day who worked on the design. There were technical challenges but also the challenge of starting a business for the first time at the age of 60. The was also the challenge of finding a printing company that can produce one-off or small runs of high quality books at a sensible price! I had to learn everything about running a business from scratch. It was exciting and terrifying in equal measure. Having been Editor-in-Chief of BBC Online, the very earliest days of the BBC website, I wasn't daunted by the technology but I found working on my own a strange experience. I had previously led BBC television production teams where I was used to working collaboratively with large groups of talented people. I am proud of making my dream a reality and of creating a business that brings joy to families. I am very proud of winning royal approval as recognised by the PRIME (Prince of Wales Initiative for Mature Enterprise) Award for Best New Digital Business. I have also won the 'Grannynet Gold Award'. I have learned that starting a business when you do not have a business background is hard BUT that if you have enough desire, determination and focus almost anything is possible. I have learned that people can be very generous with their help if they believe in what you are trying to achieve — and if you ask! My next aim is for autodotbiography to become a household brand that everyone knows about and wants to use to create a family heirloom. I created the concept and all the content for the online system and run the business and the technical stuff was done by a brilliant chap called Jason McClean of 806 Software.